Nowaday, keeping the healthy and fit body is one of the most things that people are interested in. But how many exercises and activities are suitable for a specific person? What a difficulty to answer this question. Luckily, we are having a kind of portable device called fitness or activity trackers, which can help everyone to build a plan of doing sport activities, track one’s sleep quality or simply counting the amount of calories burned everyday. 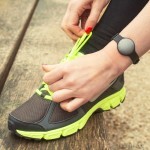 But it raises another question that: How to choose the best fitness tracker? There are many different types of performance trackers to monitor your activity levels when exercising or just going about your daily activities. That means, there are also plenty of good options for you to choose from. But do not forget that a good selection is different for each of you, based on your needs, your purpose, your kind of activities and your target of improving health and body. 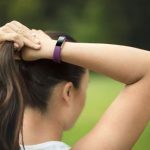 When making the decision to buy a fitness tracker, you will need to consider the individual features, looking at the pros and cons of each design. One persons pro can be easily another customers con. And personal preferences will play a big part in your decision making. 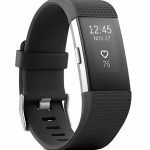 Here we create a review that help you in choosing the best fitness trackers, then you will find which one is the most appropriate and valuable to buy. You can look at this reference then simply pick the one that is the right fit for you. Let’s start! 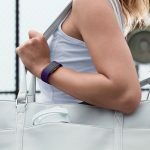 Fitbit Charge HR is the next version of the Fitbit Charge, which is enhanced with monitoring the heart rate compared to the previous version, since ‘HR’ stands for the ‘Heart Rate’ phrase. With the very elegant look, bearing a typical sports watch appearance, the Fitbit Charge HR comes in 5 stylish colors: Black, Plum, Blue, Pink and Tangerine. The monitor of the device shows the distance travelled, steps taken, sleeping time, calories burned, nutrition intake and especially the heart-rate. The LED monitor light is triggered once you raise your arm or tap the screen, so you can see the time or any other data conveniently. Regarding to the heart-rate monitor functionality, which is the most pro that is introduced in this kind of fitness tracker. It is not only count your heart-rate as a simplicity, the wristband is equipped with a LED lights underneath that allows to detect both the heat beats by recognizing blood volumes and capillary size changes under pressure and algorithms are used to continue the process of calculation. The maximum heart rate, the default heart rate zone you are in, however, can be customized by your-self. 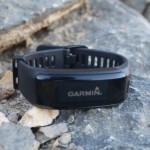 The battery lifespan can last for five days with the heart-rate monitor feature is turned on. In case you need to keep the battery last more, you can improve the flexibility by turning the feature off. All those who have used the Garmin Vivofit 2 activity tracker will attest to the fact that it is a good activity tracker with the heart rate monitor. This is the kind of device everyone should make a point of owning this new year. This is because it will help to bolster attempts at a lifestyle change and ensure that the society is more fit and productive as a whole. For those who love to do a lot of exercise, the device is the only tracker that you would need if you acquired it. This is because it can easily be used to track all sorts of activities including cycling and swimming, because it is water resistant, and for models that are not, there are waterproof casings available. Garmin Vivofit 2 has a backlit display that help you to track the progress even when you are in the darkness, the device comes with a watch also. If you’d like to go out for doing some exercise in the evening, or simply a walk after the dinner, this extra advantage can be very useful to keep your activity tracking, as well as know exactly it’s time to come back home to start tracking a restful sleep with its sleep monitor feature. 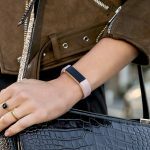 Fitbit Alta is the symbol of the new Fitbit generation that brings to its targeted user the fashion style with all the necessary features remained. The Alta is suitable for the daily activities so there’s no surprise if it comes with an elegant and sporty look. The slim band, like its previous version Fitbit Flex, but it comes along with the black rectangle screen can make your wearable device more fit on your wrist. This also makes you feel more comfortable, since you should wear it all the day and night. Like the other fitness trackers, the Alta tracks steps, distance (of moving steps by steps), calories burned, active minutes, hourly activity (hours with 250+ steps), and sleep. In addition, the exercise can be auto detected and logged by some default types such as: walking, bike, bicycle… with time spent and calories burned during exercise. With its artificial intelligence software, Moov NOW is probably the most different fitness tracker in the current market. This 2nd generation of MOOV (called 2015 Edition) fitness tracker aims to fully enhance an individual’s workout routine with its personalized range of exercise programs and tracking data. 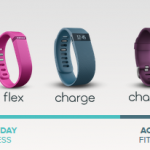 Depending on the activity, this revolutionary fitness accessory can be worn on the wrist or ankle. Aesthetically pleasing, Moov NOW is redesigned to include a breathable and perspiration friendly strap. Its removable batteries can last up to half a year and fitness tracking data is sync to the phone via Bluetooth. Despite its small package, Moov NOW is equipped with all the necessary functions of a fitness tracker. 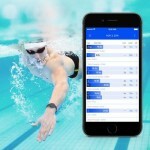 With specially customized mobile applications for swimming, boxing, running, timed workouts and cycling, fitness fanatics are able to choose from a variety of ready-made programs. Most importantly, Artificial Intelligence installed into Moov NOW guides its users throughout their workout phase. Through the encouragement and guidance from the AI, users are more aware of their progression and would be able to achieve their goals more effectively. Regarding to the cons, the Moov NOW is limited with lacking of some functions that maybe necessary to someone. You may get a little disappointed with this device since cannot find the ability of steps tracking and heart rate monitoring. Of course, this cannot be the problem if your targeting activities are not required those features. UP2 is introduced with a variety of colors that form up the fashion trend and can match many styles: Gunmetal Hex (Dark Gray), Turquoise Circle (Blue), Black Diamond, Oat Spectrum (Gold) and Orchid Circle (Purple). The device is equipped with general features of a fitness trackers: track what you eat and the number of calories you consume, step tracking and calories burning, extended battery life with 7 days… But in the other hand, the UP2 also has some of cons such as not being water-proof, no heart rate monitoring or even being found that it is difficult to keep clean and quickly starts to look a little worn in places (especially for the light-color version). The Misfit Shine is a well-designed activity and sleep tracker that instigates you to live a supplementary active life. Shine emanates a halo of lights which shows an individual’s progress towards his or her daily activity goal while regarding as a fashionable accessory. Shine helps inspires you to reach your goal every day, by seeing how active you are at day time. It tracks, running, walking, swimming (to depth of 50 meters) and cycling. The device comes with variety of colors and diamond-cut aluminum, provides multiple choice to the one who like and interested in the fashion style: Black, Grey, Champagne, Coca-Cola Red, Coral, Pure Silver, Sea glass, Topaz and Wine. It also comes with many kinds of accessories such as leather bands, sports band, necklaces and clips which are introduced by the manufacturers. Shine uses replaceable battery which can lasting up to 6 months. So no charging, ever. You can easily change the battery and continue your activities immediately, no need to wait for re-charging, means no discontinuity. 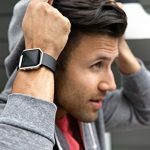 How to choose the best fitness tracker? You like to keep fit and appear healthy which would include keeping tabs on your physical activities and watching the things you eat. 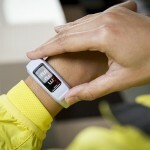 Fitness trackers, apart from being a good source of motivation, help you to monitor your fitness program. But there are so many devices to choose from, with the most recent devices having the ability to calculate heart rates and receive notifications from your smartphones, generally blurring the line between fitness bands and smartwatches. It is difficult to pick, the best fitness tracker 2017 has to offer you. Although fitness bands offer a great amount of benefits. It would be for the best if you are aware of the goals you want the fitness tracker to help you achieve. This way, it would become easier to choose from the sea of fitness tracking devices in the market. For instance, If you desire to improve the condition of your heart, you would require a fitness tracker with a heart monitoring ability. Being aware of your objectives involves first knowing the activities you currently do and the ones you want to do. When you make this kind of commitment, it becomes easy to choose the ideal fitness tracker that would be suitable for you. If you indulge in less popular exercise routines like jumping and swimming, you would have to make sure that the fitness band you are going to purchase would recognize these uncommon actions. The appearance of your fitness tracker would do well to fit with your personal style and activities. While most fitness devices are enabled to be worn on the wrist, some are designed to be clipped on your clothes and others are made to be attached to the laces of your shoes. If your are going to be undergoing vigorous exercise routines, it is necessary that you opt for a fitness tracker that would not easily fall off while engaging in your activities. 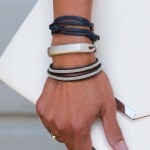 Fitness bands would be more ideal than fitness trackers clipped on clothes or shoe laces. Also, some fitness gadgets come with touch screens that help you navigate through statistics and notifications easily, others do not. Few have no display at all, letting you become aware of the progress you are making through light indicators. Choosing a fitness tracker that would be best for you would depend on how often you hope to interact with it; fitness devices that come with touch screens are perfect for keeping constant and precise tabs on your activities than the ones that come with normal LED displays. While some fitness trackers are only splash proof, a handful are water resistant and if you like to swim, a waterproof fitness device would be ideal. Although they cannot monitor your heart rate while you swim, they can help you keep progressive rates on your swimming sessions. Fitness trackers mainly monitor two important categories, which are steps taken and calories. Recently, distance and sleeping monitoring have now becoming ideal features. You would have to understand the features of the trackers and how they work in order to know if and how they fit into your objectives. If you want a device that would monitor the amount of steps you climb, you wld have to purchase one with altimeter and a standard accelerometer. Until about recently, Chest straps were the only way to monitor heart rates. But now, trackers have been designed to do document heart beats and blood levels, coming with heart-rate monitors which are sensors embedded at the back of the wrist fitness band. The sensor which flashes LED light that reflects against your skin may not be as accurate as chest straps that uses electrical impulses, but if you are the type that prefers convenience, wrist fitness trackers with heart rate sensors would work for you. 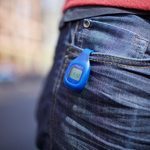 Many recent Fitness trackers come with GPS tracking which is a valuable asset for runners, hikers and cyclists. GPS tracking helps to let you know your exact location and It also measures distance and speed. It however might be slow in signal during inclement weather conditions as it depends on satellite signals to work. Most fitness device come with an app that helps to sync all your data and also provide extra features. By letting you know the nutritional components of the food you input, the app can help you keep track on your food intake as regards to your wellness. It also estimates the amount of calories in the food. So if you are concerned about your dieting, food logging on your fitness tracker is valuable and is important to purchase a device that enables it. Well, most fitness trackers have the ability. Some apps allows you login your workout sessions when you are finished. This would help keep tabs on your improvement, especially if you are involved in different workout plans. It would be necessary to separate the workout sessions. The trackers that have to be charged at least every five- seven days. These ones come with a dongle and charging tools. most of them enable you to be able to connect them to your personal computer for charging. 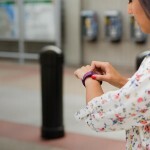 Fitness trackers that come with a watch-like battery that last up to six months. You should purchase fitness trackers that would easily fit into your lifestyle. If you would not have the time and the patience for devices that need regular charging, you can easily opt for the ones that come with disposable batteries. Trackers as low as $50 can monitor calories intake, speed and distance. Although they do not come with touch screens, they are still effective enough to let you keep tabs on your basic fitness activities. If you however need to keep tabs on your sleeping, heart rate and receive notifications from your smartphones in addition to information on calories consumption rate, speed and distance, You would need to set aside as much as $100-$200. Fitness trackers that cost more than $200 come with GPS tracking, music streaming amongst other functions. Fitness Tracking devices are designed to help you achieve a healthy lifestyle and come with different specs, appearance and features. Knowing how they work with their features is key to choosing the best fitness tracker 2017 has produced.